In this easy grilled beetroot recipe, you'll marinate beets in a simple herbed balsamic vinaigrette dressing before sticking them on a heated grill for a delicious and healthy barbecued side dish perfect for vegetarians and vegans, or as a veggie burger topper. Grilled beets have a lovely flavor profile which is naturally sweet, with a touch of caramel as the beets get charred on the grill. Add the balsamic vinegar and some fresh herbs, as in this recipe, and you've got a dish bursting with a myriad of flavors fresh off your outdoor or indoor grill. These easy balsamic barbecued beets are vegetarian, vegan, and gluten-free. Eat your barbecued beets as is, or add them to a green salad or pasta salad. For an appetizer, top them or pair them with a smooth goat cheese or a crumbly blue cheese. First, prepare your beets. Whether or not you peel them is up to you, but most people don't like the rough skins. Just like potatoes, you'll need to rinse and scrub your beets well, especially if you decide not to peel them. Place the beets in the dish, coating well with the vinegar and allow to marinate for at least one hour. Wrap beets in foil, drizzling with extra marinade and folding the foil to seal well. Grill for 20 to 25 minutes, or until beets are soft. 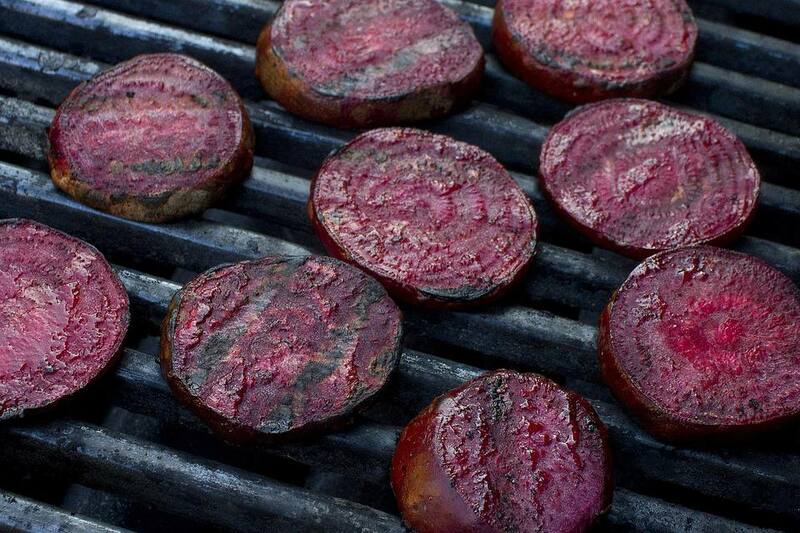 Remove beets from foil and place directly on the grill for another minute or two. Drizzle your beets with additional balsamic vinegar just before serving or use a balsamic reduction sauce for a nice presentation.